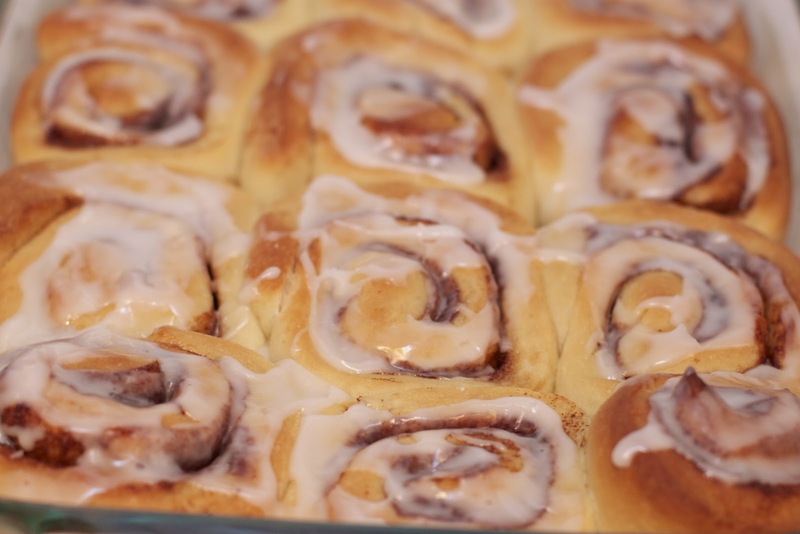 I remember my first attempt to make cinnamon buns from scratch. I can't remember the exact recipe I used, but I do remember the time it consumed. Of course they were a huge hit. Despite their decadence, it didn't seem to make much sense to devote my entire Saturday morning to cinnamon buns. I now needed to figure out an easier way to serve these up without chaining myself to the kitchen counter for hours and hours. My bread machine makes more than a weekly appearance on my kitchen counter. I use it regularly for making a variety of breads and dough. While seeking out a cinnamon bun recipe that utilized the bread machine, I came across two Betty Crocker recipes I really liked. I combined them and came up with my version of homemade cinnamon buns. 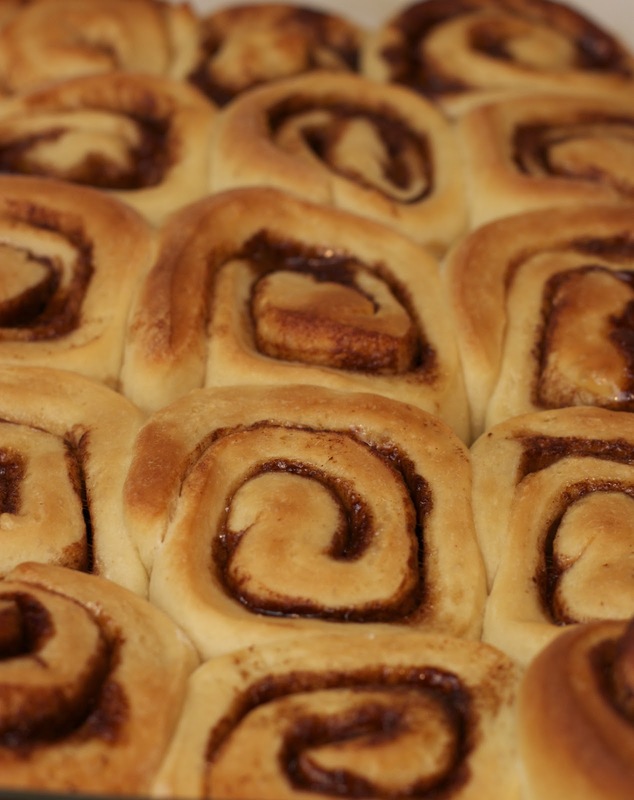 We love to have these cinnamon buns on Christmas morning or any other lazy weekend that calls for comfort food! Prep Ahead Plan: These can be prepared up to 48 hours ahead of time. I usually make them the day before and leave them in the fridge, covered in the 9 X 13 baking dish. Before baking, leave them on the counter, covered with a kitchen towel for 2 hours for the buns to rise! Mix all ingredients until smooth and spread over warm buns. 1. Carefully measure all ingredients in the bread machine pan. 2. Select dough setting and wait for the beep! 4. Butter/grease 9 X 13 baking dish. Roll dough out into a 15 X 9 inch rectangle. 5. Pour the butter over the rolled out dough. Combine cinnamon and brown sugar and sprinkle over dough. Roll up and slice into one inch pieces. Place the pieces in the 9 X 13 baking dish. 6. If baking that same day, cover for 40 minutes and then bake at 375 degrees for 23-28 minutes until golden brown. Pour glaze (see below) over warm rolls. Here they are just out of the oven waiting to be glazed! Copyright © PrepAhead and Dine In: Weekend Baking...Cinnamon Buns. All Rights Reserved.